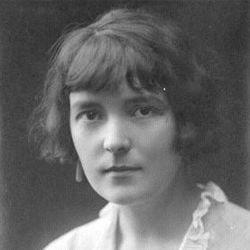 Katherine Mansfield was born in Wellington in 1888 and left for London in 1903 to finish her schooling. After travelling in Europe she returned to New Zealand in 1906 and started writing stories, some of which were published in Australia. Two years later, intent on becoming a professional writer, she again went to London. Mansfield began submitting stories to literary magazines, notably the New Age. A series of failed relationships, including an unconsummated marriage to the singing teacher George Bowden, did not slow her output. The collection In a German Pension was published in 1911. That year Mansfield commenced the turbulent relationship with the writer John Middleton Murry that would last until her death. Their circle of friends included D. H. Lawrence and Virginia Woolf. Mansfield was shocked by her brother’s death in World War I, and in 1917 she contracted tuberculosis. The subsequent years were nevertheless productive, leading to the acclaimed collections Bliss and The Garden Party. She spent her last years seeking cures for her tuberculosis. In October 1922 she moved to France for treatment but died the following January, aged thirty-four. With Mansfield’s reputation on the ascent Murry began editing her unpublished works, resulting in two volumes of stories, as well as collections of poetry, criticism, letters and journals.